3 ohms: 150 watts x 4 chan. 1.5 ohms: 150 watts x 4 chan. Bridged, 8 ohms: 300 watts x 2 chan. Bridged, 6 ohms: 300 watts x 2 chan. Bridged, 2 ohms: 300 watts x 2 chan. Bridged, 3 ohms: 300 watts x 2 chan. 4-gauge power and ground wiring is required for installation. 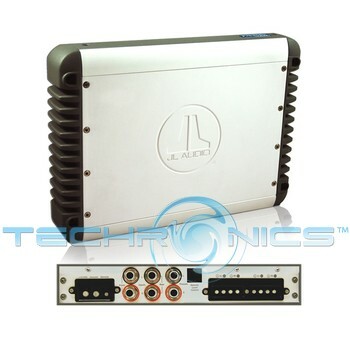 Contact us for information regarding a discount on select amplifier kits from our website when purchased together with this amplifier.